If you're like me, there's nothing like the draw of getting a bunch of deluxe sized samples of higher end products that you've never tried before. I rarely make it through a lot of my makeup and I always want to try new things, so little kits filled with travel or deluxe sized products are absolutely perfect for me. 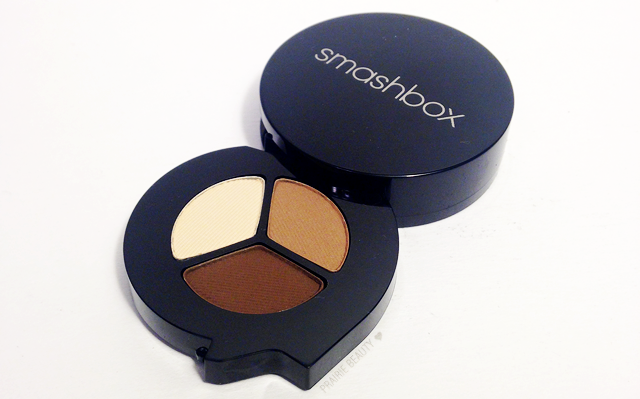 I've been sneaking looks at this kit for a while now, but I've never been overly drawn to Smashbox products in the past so I resisted. 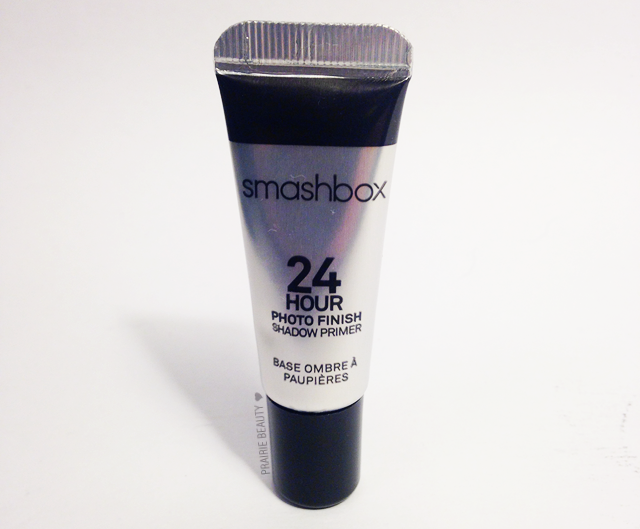 However, I've recently been hearing amazing things about the 24 Hour Photo Finish Shadow Primer and figured this was a perfect opportunity to try it out - along with a few other items from the brand. At $22CAD for 4 deluxe sized products, this is a stela of a set. 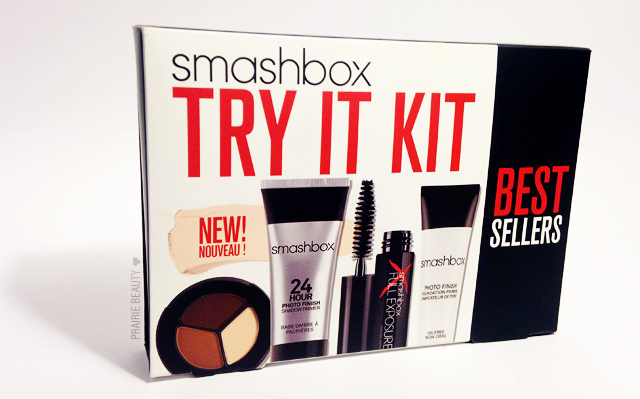 Keep reading to take a look at the items included in this kit and my review of each! 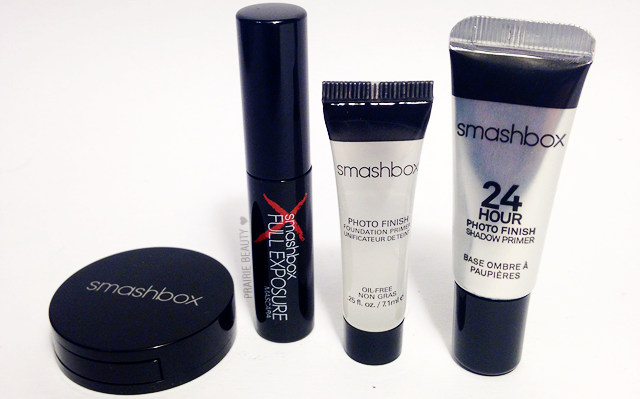 A collection of Smashbox bestsellers in try-me sizes. 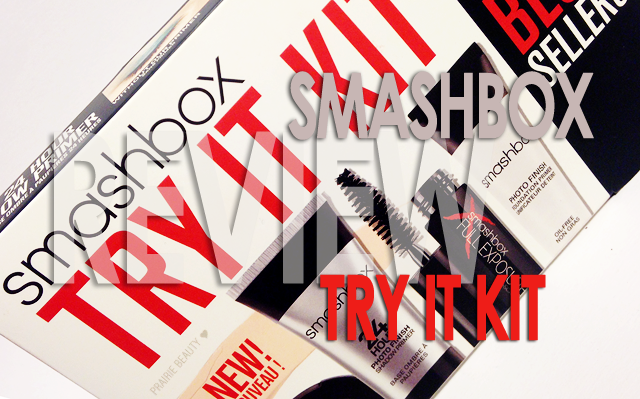 Try it all with this showcase of Smashbox superstars. 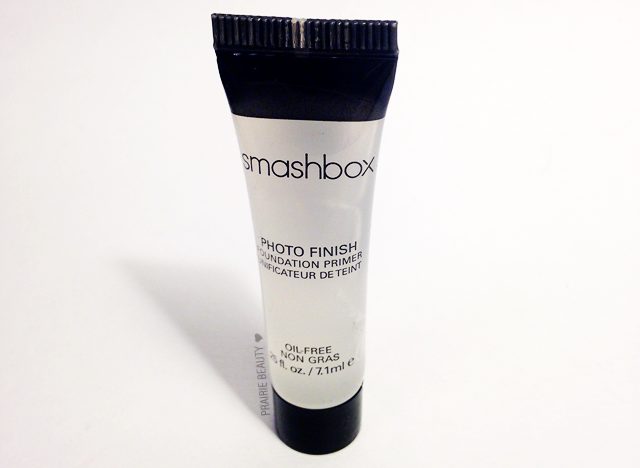 Smooth the appearance of fine lines and pores while creating a flawless canvas for makeup application. Lock on more vibrant eye shadow color for a full 24 hours with the studio-tested, life-proven shadow primer. Expose your longest, fullest lashes with a bestselling mascara. No clumps. No flakes. Just maximum-impact, for scene-stealing lashes. For some reason, I thought this was going to be a much bigger sample - probably because I inverted the numbers in the sizing when I originally read this. It is, in fact, quite small at about 1/3 of full size. That said, this is probably the best eyeshadow primer I've ever used in my life and I'm pretty much obsessed with it. 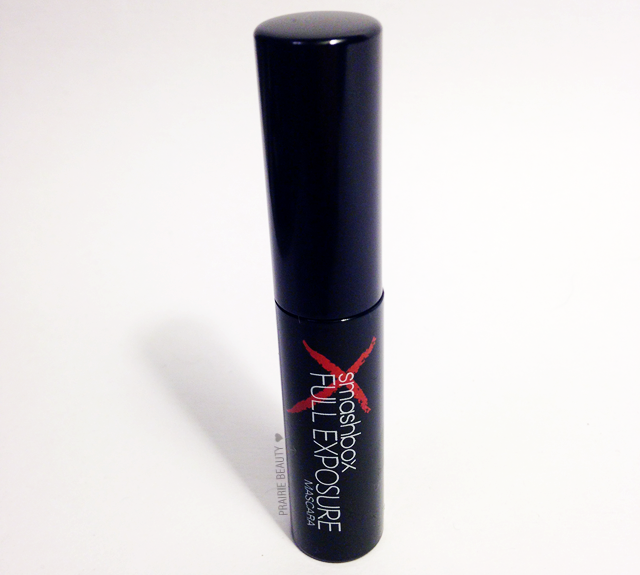 It has a thick, creamy texture that applies really smoothly and basically acts like glue for your shadows. I have slightly hooded eyes, so I tend to get creasing and transfer with my eyeshadows, but this really keeps those issues under control and keeps my eye looks looking great all day. When I run out of this, I'm definitely going to pick up the full size. I didn't used to like this primer at all, based on trying it ages and ages ago, but upon trying it again I can definitely admit that I was wrong. This isn't my favorite face primer ever, but since it's a hell of a lot cheaper than the Hourglass Veil Mineral Primer that I'm pretty much obsessed with, this has become a more every day primer for me. I like the consistency and I do definitely feel like it does a good job of making my makeup apply more smoothly. I'm not sure I've seen a significant difference in wear time when I use this primer, but it still does a good job. I don't think I'd buy it, but I'm happily going to use up the samples in my collection. Again, this is incredibly small. Just saying. I feel like I have another sample tube of this somewhere that I never got around to trying, but always wanted to. I have used this though and I will say that it isn't my favorite formula. It does a good job of giving me full, fluttery looking lashes but it's a very heavy formula and I feel like it makes any curl I put into my lashes fall - even when I prime them with a waterproof mascara, which is usually sufficient enough to keep my curl in place regardless of the mascara I'm using with it. Unfortunately, this is just not my favorite. I'll probably keep playing with it a little to see if I can make it hold a curl a little better, but I definitely won't be repurchasing this. Overall, even though these products are quite small, I do think it's worth the price I paid to try them out. All of them will get used, except perhaps for the mascara since I already have so many in my collection and a lot of them are better than this one. I'm incredibly happy that I got to try out the Shadow Primer, since it's 100% become a Holy Grail product for me, and I'm not really mad at any of the other products. If you're looking to dip your toe into the Smashbox waters and want to do it without the commitment of buying full sized products, or if you're like me and you actually like having smaller sizes in your collection so that they don't go to waste, I would definitely recommend picking this up to try. Have you tried any of these products yourself? Let me know in the comments!